Although many people think of dentists as only being dentists, certain types of dental doctors may have a certain area of specialty. Just like there are different types of medical specialists, there are also different types of dental doctors as well. 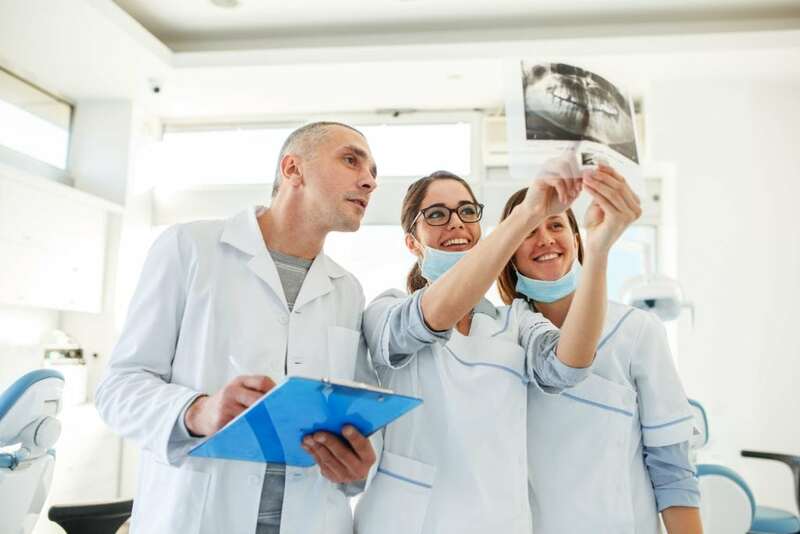 Knowing what types of dental doctors exist and what their specialties are is especially important if you ever need to find a dental doctor with a specific specialty. Listed below are some common types of dental doctors that you may encounter. General dentists are sometimes also referred to as “family dentists” and are the type of dentist that most people are familiar with. These dentists are specially trained to treat all kinds of different dental issues, however most of their practice revolves around preventive care. Most dental care aims at preventing dental issues, so general dentists are usually the ones responsible for giving checkups and teeth cleanings. They can also perform restorative treatments such as fillings, repairing cracked or chipped teeth, and whitening services. In some cases, they may also be able to offer minor surgical procedures. A pediatric dentist is one who specializes in dentistry for children, essentially like a pediatrician for their dental needs. Also like pediatricians, they only treat children and adolescents. These dentists have all the same training as general dentists, but have also completed training in child psychology and management. This specialized training helps them to administer dental care to children in a way that is generally more effective than other non-pediatric dentists. Orthodontists are dental doctors that specialize in the proper alignment of teeth. They are most commonly associated with braces, even though they do much more than just braces. In addition to aligning the teeth, they also work to properly align the jaw and other facial bones. Orthodontists help to correct the overall bone structure of an individual. Oral and Maxillofacial surgeons are orthopedic surgeons that work exclusively with the bones of the face, specifically the maxillofacial bones. These surgeons are usually responsible for performing more invasive dental surgeries that cannot be completed in a dental office such as complex tooth extractions, surgical jaw corrections, reconstructive surgeries for cleft palates or lips, biopsies, cancerous tissue extraction, facial injections, or sleep apnea treatments. Endodontists are most commonly associated with root canals. These dental doctors specialize in the interior structure of the tooth, or the pulp. Because the pulp cannot be repaired once it is damaged or starts to decay, it must be removed entirely via a root canal. However endodontists do more than just root canals. In fact, they specialize in diagnosing tooth pain and have an extensive knowledge of all the tooth’s internal structures. Overall endodontists specialize in saving teeth. A periodontist is a dental doctor who deals with the prevention, diagnosis, and treatment of ailments affecting the gums. As such, periodontists are specially trained to deal with dental issues such as: gum inflammation and pain, treating gum disease, installing dental implants, and performing cosmetic skin grafting on gums. Basically, any dental procedure that deals with the gums is one that a periodontist will want to oversee. Previous Post: What is a Porcelain Veneer?